As to the Europeans, "...they profess the essential principles of monotheism...and form part of the rank of worshippers of Buddha in almost the same degree as the Tibetan Lamas...The only error of the Christians...at the very outset, they completely separated themselves from him (Buddha) and created another Dalai-Lama..."
"Who is this Dalai-Lama of the Christians?" Nicolas asked. "We have a 'Son of God' to whom we address our fervent prayers..."
"It is not to him I referred, sahib," the Lama replied. "We also respect him whom you recognize as the son of an only God, only we do not regard him as such, but as the excellent being, the chosen one from among us. BUDDHA DID, INDEED, INCARNATE HIMSELF WITH HIS INTELLIGENCE IN THE SACRED PERSON OF ISSA, WHO, WITHOUT THE AID OF FIRE AND SWORD, WENT FORTH TO PROPAGATE OUR GREAT AND TRUE RELIGION THROUGH THE ENTIRE WORLD. "Issa is a great prophet, one of the first after the 22 Buddhas; he is greater than any of the Dalai-Lamas, for he constitutes a part of the spirituality of our Lord...His name and his deeds have been recorded in our sacred writings, and whilst reading of his great existence spent in the midst of erring people, we weep over the horrible sin of the pagans, who assassinated him after putting him to the most cruel tortures." Nicolas' mind raced. Issa sounded exactly like the Christian Dalai-Lama, Jesus. "Where are these sacred writings, and by whom were they compiled?" he asked. "The principle rolls," the monk said, "written in India and Nepal at different epochs, according to the course of events, are at Lassa and number many thousands. In some of the larger convents, there are copies made by the Lamas at different periods of their stay at Lassa, and later presented to their convents as souvenirs of their visits to the great master, our Dalai-Lama." Issa, the prophet of Buddhists! How could that have happened, Nicolas wondered. 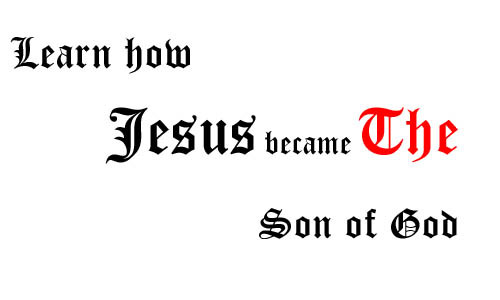 This went against everything he had ever learned about Jesus. Nicolas had been taught that Jesus dwelt in Palestine and Egypt, and the scripture contains NOT one word, not even the slightest allusion to the part played by Buddhism in the education of Jesus. Nicolas' mind must have been racing with intrique. 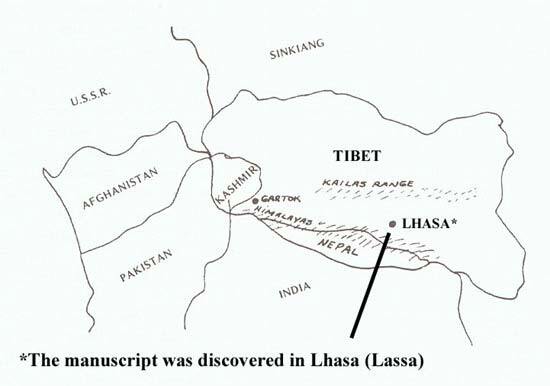 And so Nicolas set out to visit every convent in Tibet in order to find these manuscripts about Issa.